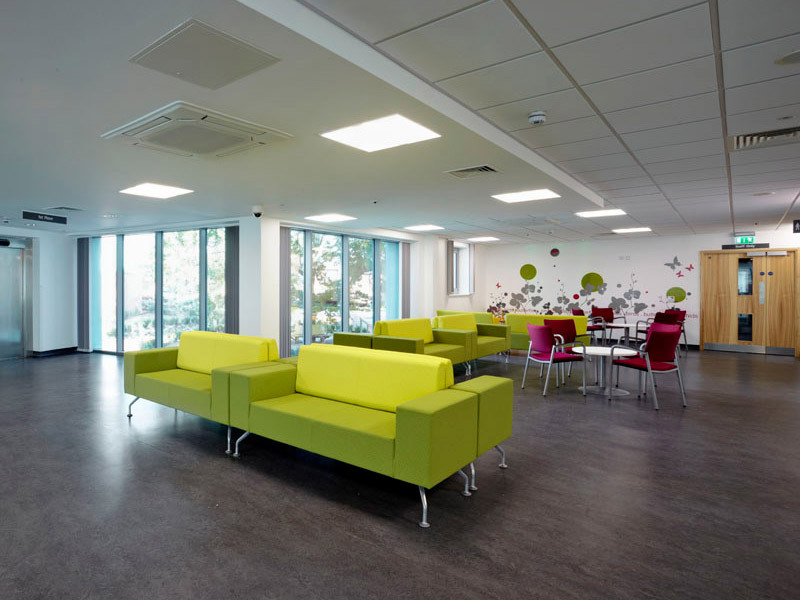 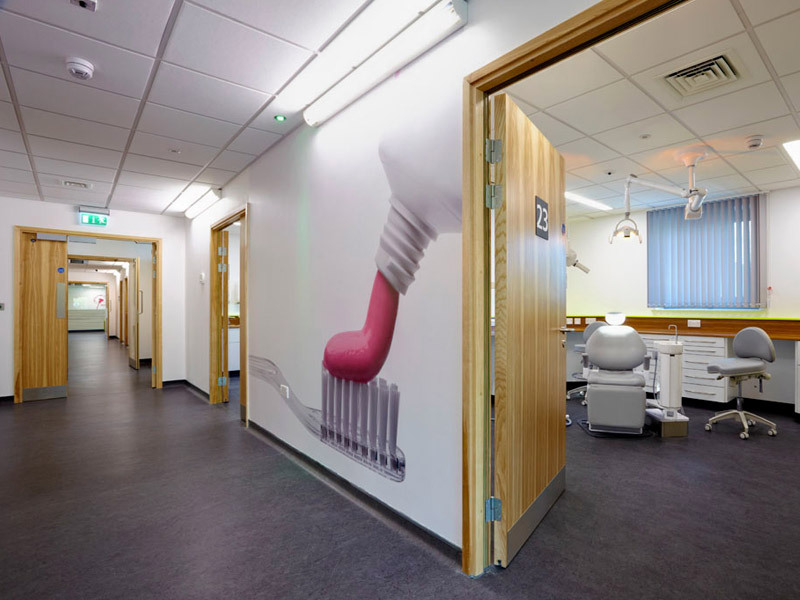 Bonwyke carried out the visual enhancement of the walls and glass elevations as part of a competitive tendering process for the main contractor, Kier-Moss, at the Hodge Hill Primary Care Trust building near Wolverhampton. 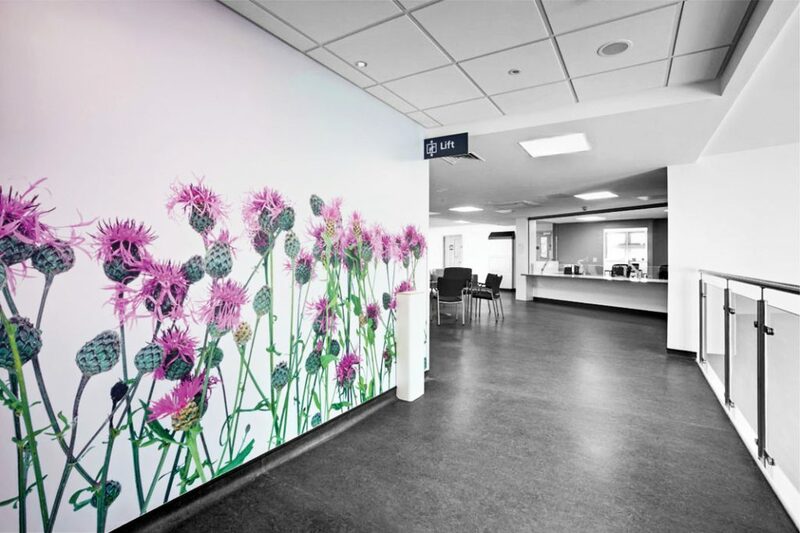 The works included for visual imagery to be printed to a digital wall-covering and over laminated with a satin protective layer. 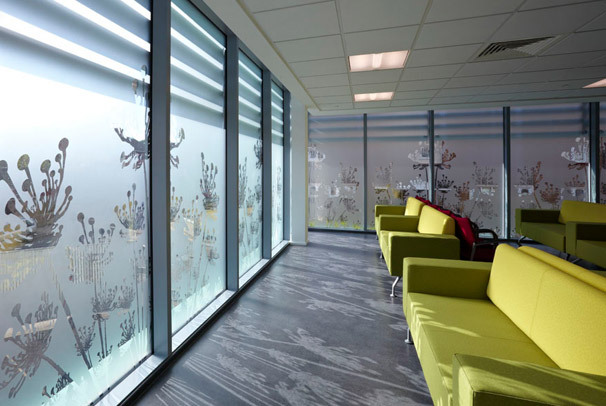 For the glazing elevations Bonwyke used a specified etched film and reverse cut the graphics which were manufactured and installed.